The Boys & Girls Clubs of Muncie is delighted to announce the 2019 Great Futures Dinner. To help us celebrate the Clubs 85th year of service to the community, The Boys & Girls Clubs will host the 2019 Great Futures Dinner on January 24, 2019 from 6 -8 p.m. at the Horizon Convention Center in Muncie. This event serves as a way to showcase the Club kids’ work, fundraise for future programming, and honor the members of the community who make a difference each and every day. Many will recall the Great Futures Lunch held in years past and will be excited to know that this year the event will be elevated to new heights. Doors will open at 6 p.m. for cocktails and mingling. After cocktails guests will be invited to the banquet hall to enjoy the evening’s programming and food. 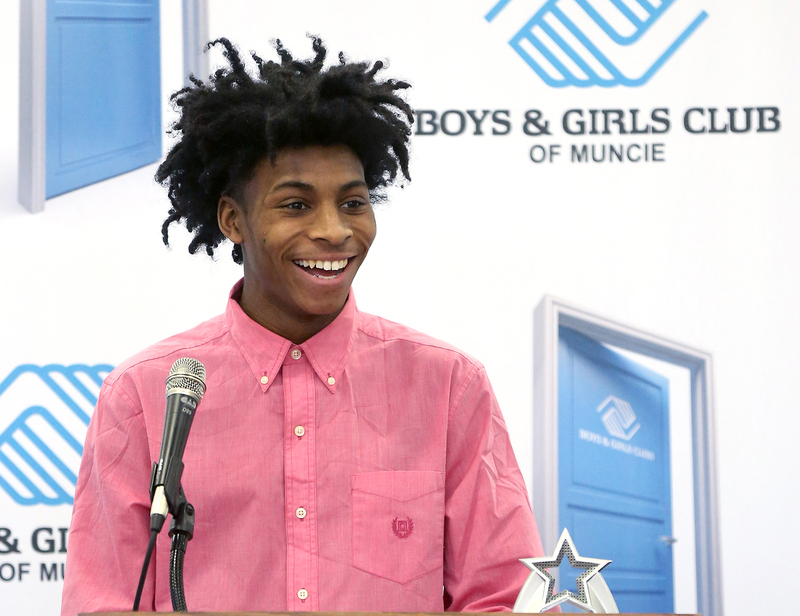 The Boys & Girls Clubs Dance and Robotics team will demonstrate the skills learned at two of the new programs at the Boys & Girls Clubs of Muncie. The Dance and Robotic clubs are just two of the options available to students after school. The evening would not be complete without presenting the Boys & Girls Clubs of Muncie’s Youth of the Year Award. This award is presented to a High School Club teen who demonstrates the desire to continue to uphold the Boys and Girls Clubs mission. The Roy C. Buley Heritage Award and The Boys & Girls Club Legacy Award will be presented at this event to community members who make a difference in the community through building up our youth. Winners will be notified prior to the event. In honor of the Club’s 85thyear of service this event will serve as a fundraiser to kick off the Great Futures Campaign. The goal is to raise at least $85,000 which will directly help fund a student’s membership and the programming that is offered throughout the year. Membership to the Club is only $15 per student, but the true cost of a student is more than $4,000 to the Club. In order to continue to offer diverse programming for our Club kids, the Club relies on donations from our community. The Club is currently looking for sponsors to help make this year’s Great Futures Dinner a success. Corporate sponsorships start at $500 which will include a table at the event. Other sponsorship opportunities are available which include VIP tickets to a private event held before the Dinner. For questions about sponsorship or other Boys & Girls Clubs programming, please contact Amy Gibson at agibson@bgcmuncie.org or visit https://www.bgcmuncie.org/greatfutures/.